Presidents, cabinet members, senators, and several world leaders issued statements praising the 41st commander-in-chief’s love of God, family, and country. “With sound judgement, common sense, and unflappable leadership, President Bush guided our Nation, and the world, to a peaceful and victorious conclusion of the Cold War,” the first couple wrote. “Hillary and I mourn the passing of President George H. W. Bush, and give thanks for his great long life of service, love and friendship. I am grateful for every minute I spent with him and will always hold our friendship as one of my life’s greatest gifts,” former President Bill Clinton and former First Lady Hillary Clinton said in a joint statement. “I already miss the greatest human being that I will ever know. Love you Dad!” tweeted the 41st president’s son and former Florida Gov. Jeb Bush. “President George HW Bush will be greatly missed in many ways. He was a fine man and even when he opposed your views, you knew he was doing what he thought was best for America. His yearning for a kinder and gentler nation seems more needed now than when he first called for it,” wrote Senate Minority Leader Chuck Schumer (D-NY). President George HW Bush will be greatly missed in many ways. He was a fine man and even when he opposed your views, you knew he was doing what he thought was best for America. His yearning for a kinder and gentler nation seems more needed now than when he first called for it. “President George H.W. 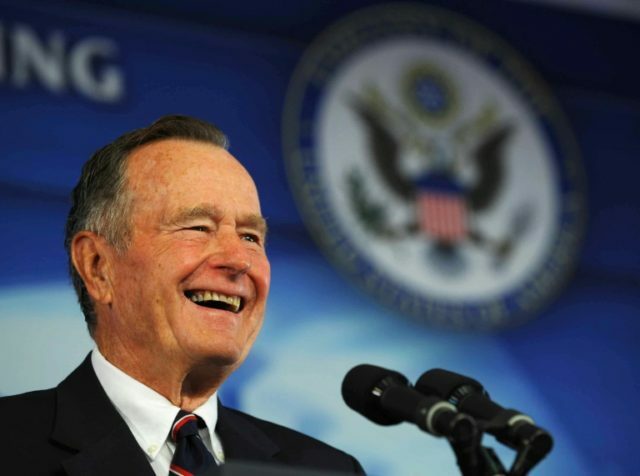 Bush was an American war hero, businessman, diplomat, Vice President and our 41st President. We honor his legacy and cherish the memory of his leadership,” Treasury Secretary Steven Mnuchin said of the late former president. “American hearts are heavy as we bid farewell to President George H.W. Bush. Today, George and his beloved Barbara are together, enjoying a well-deserved rest from their labors,” Sen. Ted Cruz (R-TX) said of Bush. What a life… full of love of family… strong faith… nothing’s more important. God bless the Bush family at this sad time.